Brook Ledge Farm provides outstanding boarding care for horses. The 30-acre farm has a nine-stall barn, an indoor arena, and direct access to miles of riding trails. The facility offers a wide range of equine services for its boarders and their families. We’re Rob and Jan Comstock. 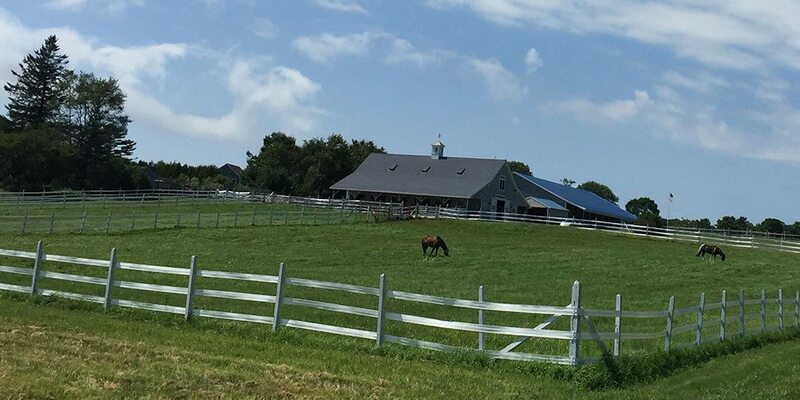 Equine care is our passion, and Brook Ledge Farm, in Thomaston, Maine, is our dream come true. We hope you’ll visit us in Maine’s glorious Midcoast region and see how we can make a safe and comfortable home for your horse. We’re sure they’ll enjoy the company of our Haflingers, Prince, Tucker, and Pixie. Call us today at (207) 542-7307. Copyright Brook Ledge Farm, all rights reserved.